Shane discovered Mochi Cream from reading Kirby’s Cravings food blog. When he showed me the beautiful images of this dessert, I told him that we absolutely must find this! 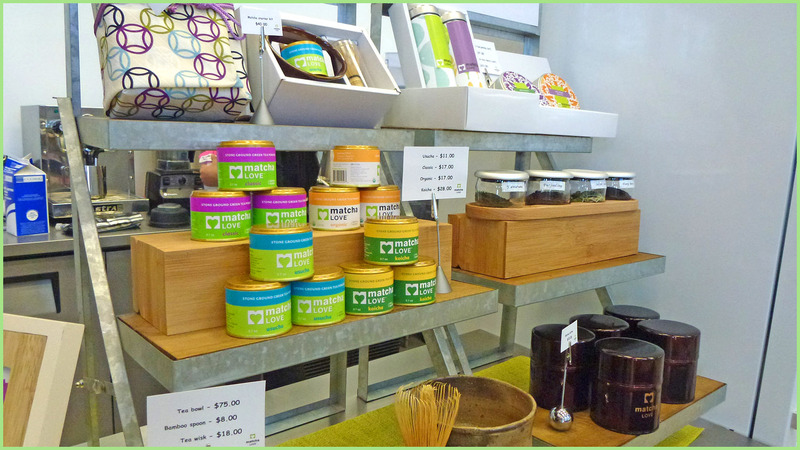 Fortunately, we found out that a store is available in Mitsuwa Marketplace in Costa Mesa, not too far away from San Diego. 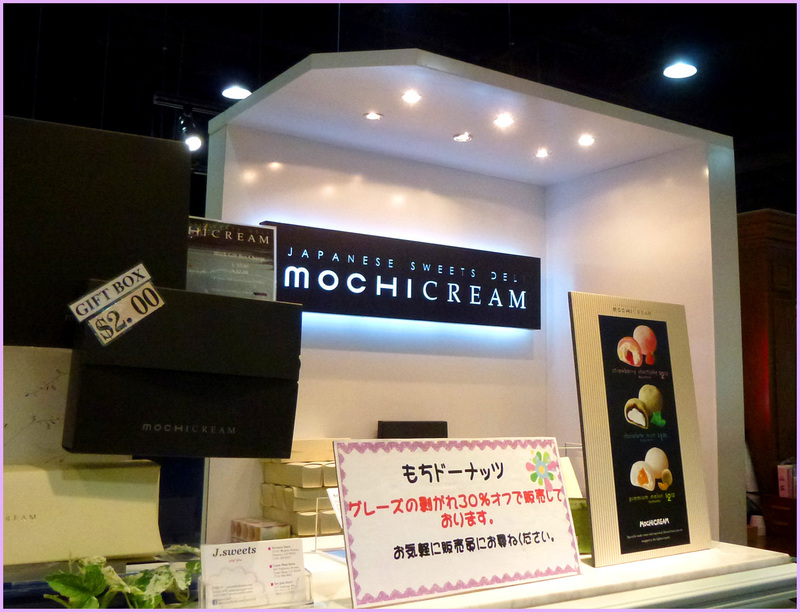 Mochi Cream is a dessert store that carries mochi with fillings that go beyond sweet beans. They can be filled with a variety of fruit, chocolate ganache, whipped cream, coffee and much, much more! Off we went on a quest to find this new twitst on mochi. 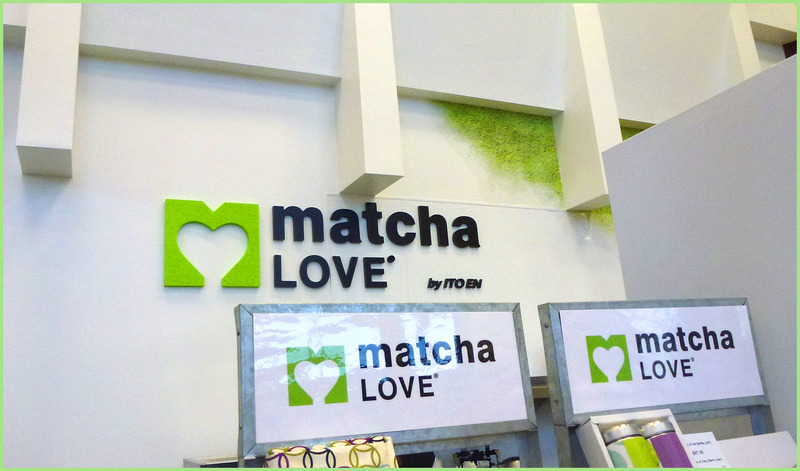 When we entered the store, I immediately fell in love with this Mitsuwa location! 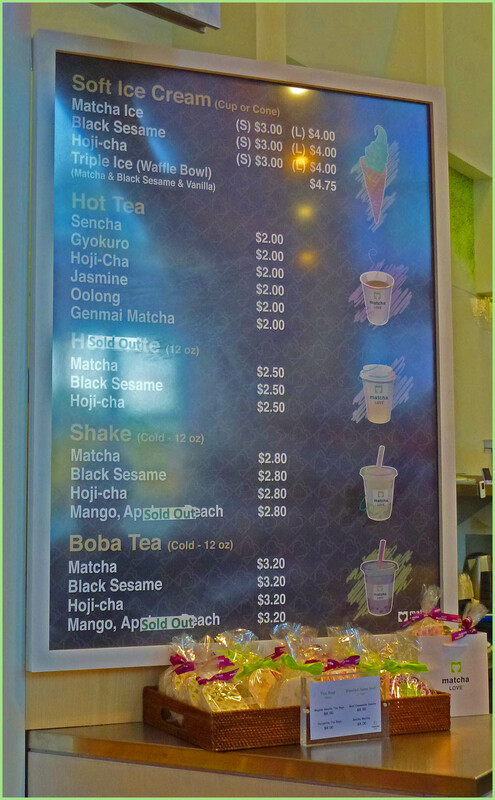 I have been to the San Diego store many times to purchase Japanese treats for video reviews, but the Costa Mesa location is much larger! They have a giant food court with multiple eateries and, of course, they have Mochi Cream! Their colorful display was to die for! It took all my willpower not to purchase every possible flavor option. 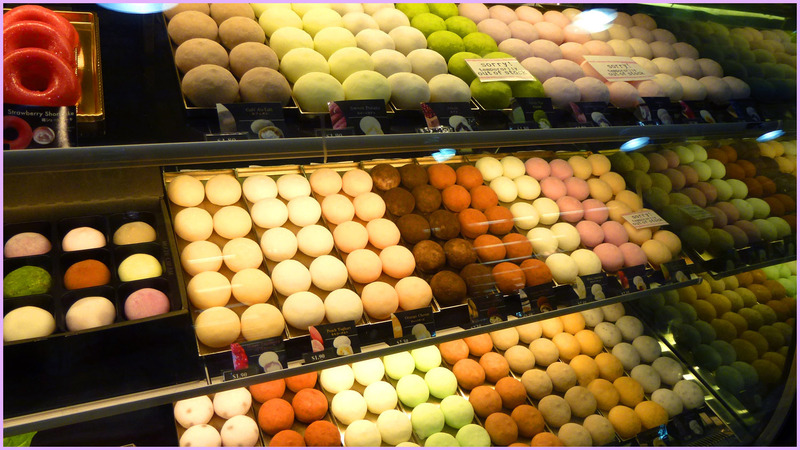 The colorful mochi are all neatly arranged. So beautiful! 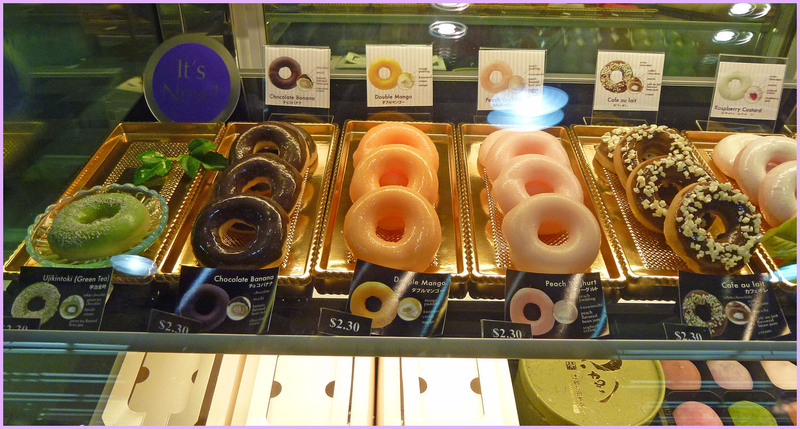 Mochi shaped like donuts?! How adorable is that? These are plastic desserts. 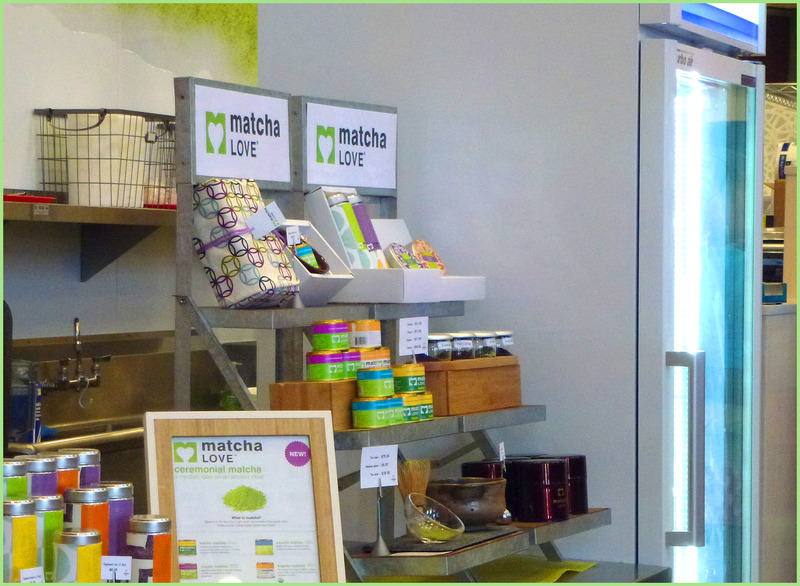 The real Mochido are kept behind the counter. 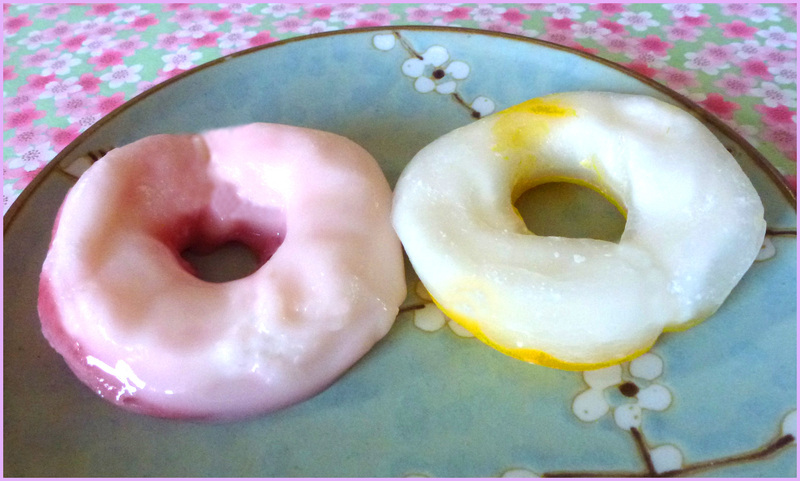 The Japanese win first prize for their realistic looking plastic food displays! 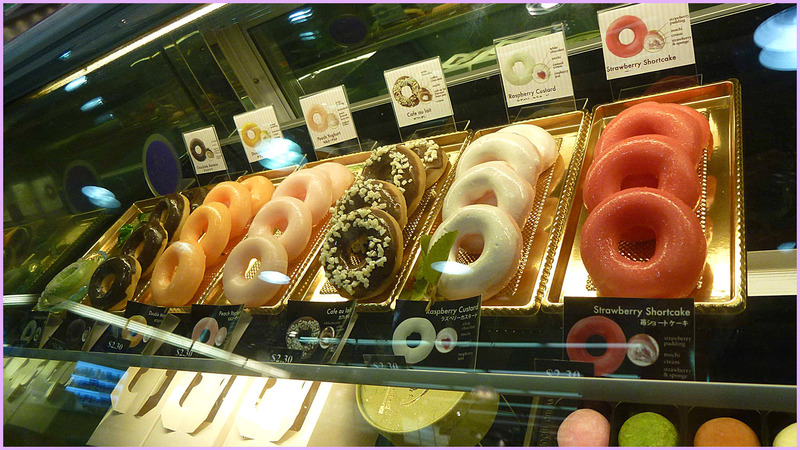 We eventually finalized our purchase and picked up these flavors of the donut-shaped Mochido: Cafe au lait, Double Mango, Strawberry Shortcake, and Chocolate Banana. 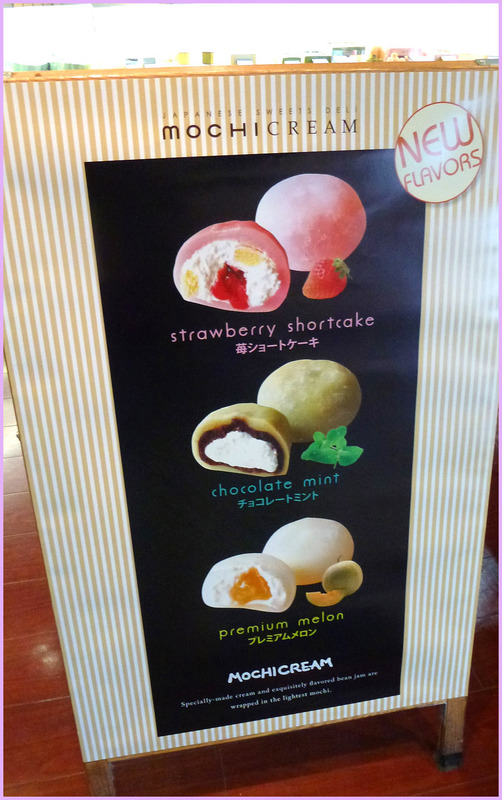 We started off tasting the fruit flavored Mochido: Strawberry Shortcake and Double Mango. These fruit-flavored mochi, slightly melted in our two hour drive back home. 😦 Fortunately, this didn’t seem to affect the flavor much. They just weren’t as aesthetically pleasing as when we first purchased them. The Double Mango was filled with whipped cream and flecks of mango. The rice mochi exterior had a nice, soft , almost melt-in-your-mouth texture and was also mango flavored. 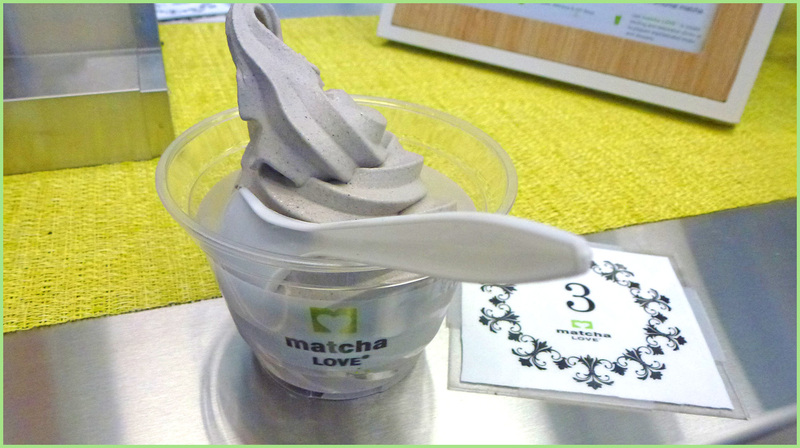 This was delicious and ended up being the favorite of all the Mochido flavors we tried! Next up was Strawberry Shortcake. The rice exterior had a strawberry flavor and the interior was also filled with light whipped cream. This was also very tasty, however, the addition of fruit like the Double Mango, would have made this mochi taste even better. 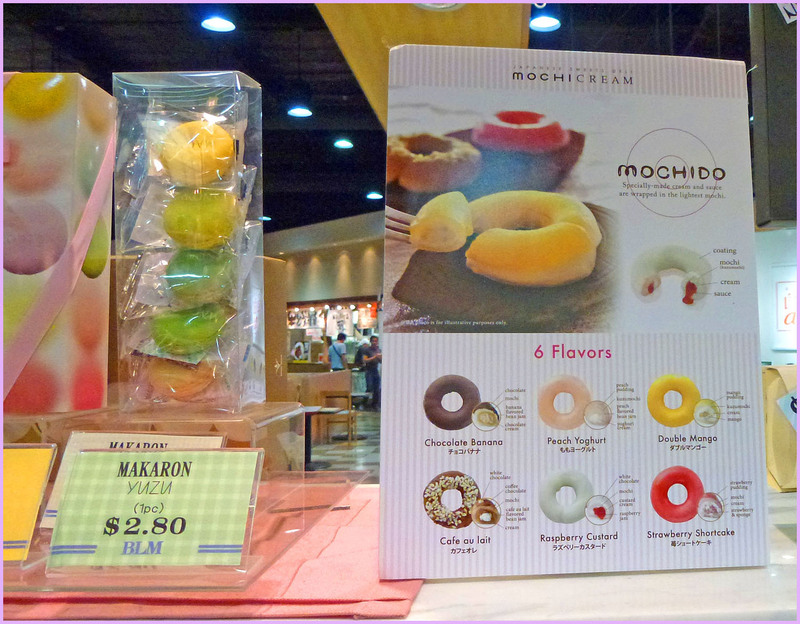 We enjoyed these fruit -flavored Mochido a little more than the upcoming flavors. The last two Mochido we tasted were Cafe au lait and Chocolate Banana. We noticed that these were firmer in texture than the previous fruit flavored Mochido. The Cafe au lait’ flavored Mochido had a very strong coffee flavor. The interior was a coffee-flavored sweet bean paste. The top of the exterior was topped with an additional coffee glaze and small cubes of white chocolate. Shane and I both felt that the coffee flavor was a little strong for our taste. We both have never been coffee drinkers, however, if you enjoy your cup of coffee in the morning this might just be the perfect thing for you! We enjoyed the Chocolate Banana flavor much more that the Cafe au lait’. 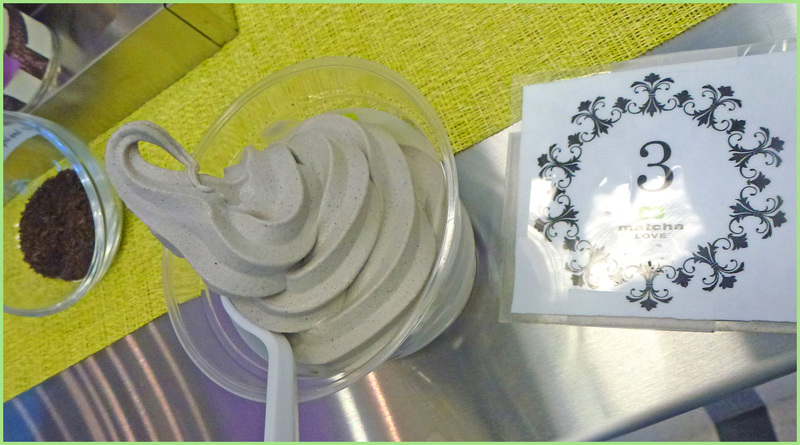 The interior filling was a real banana-flavored bean paste along with chocolate whipped cream. 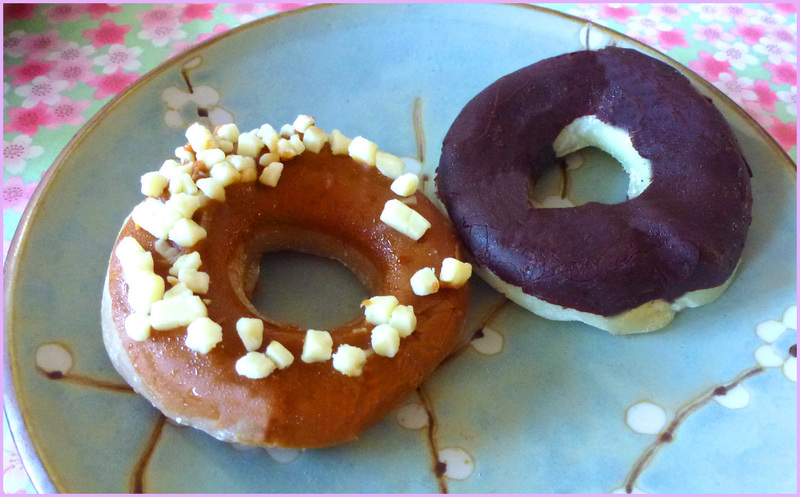 The exterior of the Mochido was covered in a chocolate glaze. This was delicious and definitely recommend this flavor! Having two flavors and textures commingling in the filling greatly enhanced the taste. Overall, our Mochi Cream experience was superb! 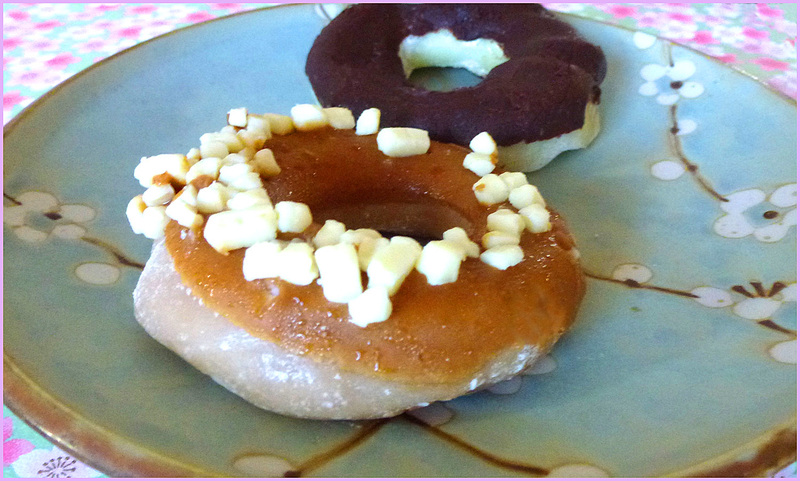 Even just writing this review, I want to head back and try more flavors of Mochi Cream! I highly recommend for anyone to visit the Mitsuwa Marketplace in Costa Mesa to experience this amazing dessert! If you would like to watch our video review, you can watch it here!